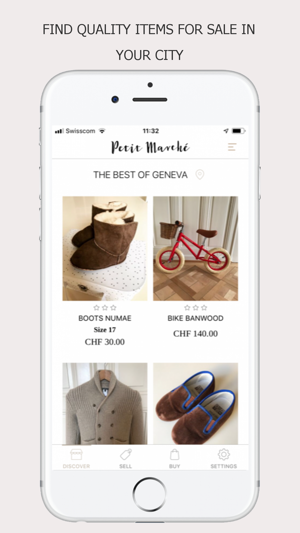 Petit Marche is the new solution for parents making it easy to buy and sell quality secondhand for your children. It is a local marketplace connecting parents in the same city, making it possible for buyers and sellers to meet; this way you can inspect an item before you buy it and you save the hassle and money of shipping. 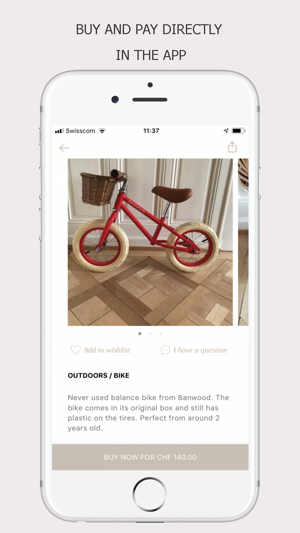 The app is currently launched in Geneva and surroundings and will soon launch in Paris. longer use and to make some money at the same time! Marché makes it possible to buy quality secondhand items in in good condition saving you some money! - Appealing and instinctive user experience making it possible to buy and sell within seconds. - Only quality items: Each item will have to be approved by Petit Marche before it is posted. 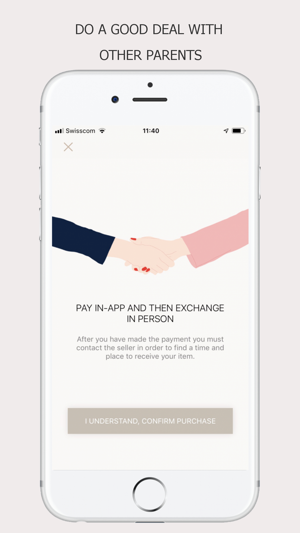 - Pay-in-app function making it possible to reserve an item and pay the seller directly within the app. - 100% secure payment gateway. would like to add you are always welcome to contact us. Your feedback is important to us! We have updated Petit Marché fixing the bugs we discovered in the first version. We work continuously on updating the app. Enfin un market place qui facilite la vie des parents. L’application est très facile d’utilisation.